Your stainless steel kettle might as well be one of your favorite little items you have at home to make your favorite hot beverage. However, with time and constant use, the stainless steel kettle can get quite dirty and have build-ups. If you are looking for some easy tips on how to clean a stainless steel kettle, here are some of my most favorite tips on how you can do it easily at home. 1 Why do you need to clean your stainless steel kettle? Why do you need to clean your stainless steel kettle? 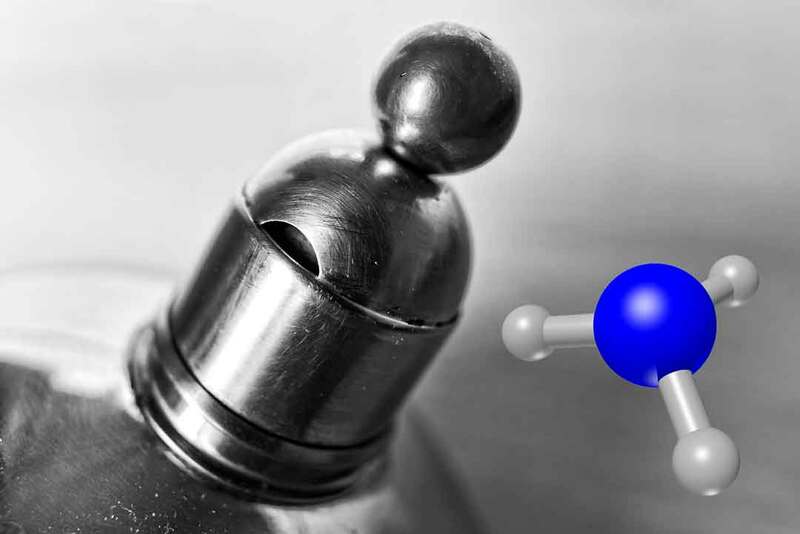 A stainless steel tea kettle is used to boil water, and sometimes even tea leaves with the water. While washing it out after every use with soap and water might be enough to keep it clean, sometimes you might find rust, mineral deposits, hard water stains or even baked on grease, being left behind on your kettle. Removing these stains will allow you to have a clean stainless steel kettle from which you can enjoy better tasting tea. Here are some ways in which you can clean your stainless steel kettle. Add one cup of baking soda to your stainless steel kettle. Add water to the stainless steel kettle and place it on the stove. Turn up the heat and allow the baking soda water to come to a boil. Once the water is boiling, take it off the stove and place it on the side undisturbed for about 10 minutes, till the water cools slightly. Get a bottle scrubber, like the ones used to clean baby bottles (having a long, thin handle and long scrubbing brush attached to it) and clean the inside of the kettle properly. You can even wear gloves while doing this as you want to avoid hurting your hands. In case you see some stains remaining, pour out most of the hot water from the kettle leaving behind only a little bit. Pour some more baking soda into the bottom of the kettle and use your bottle scrubber to scrub the stainless steel kettle. The baking soda will form a paste which you can use for the scrubbing. Use the same brush, or a sponge, and clean the outside of the stainless steel kettle, in the same way, to remove any stains on the outside of the stainless steel kettle. 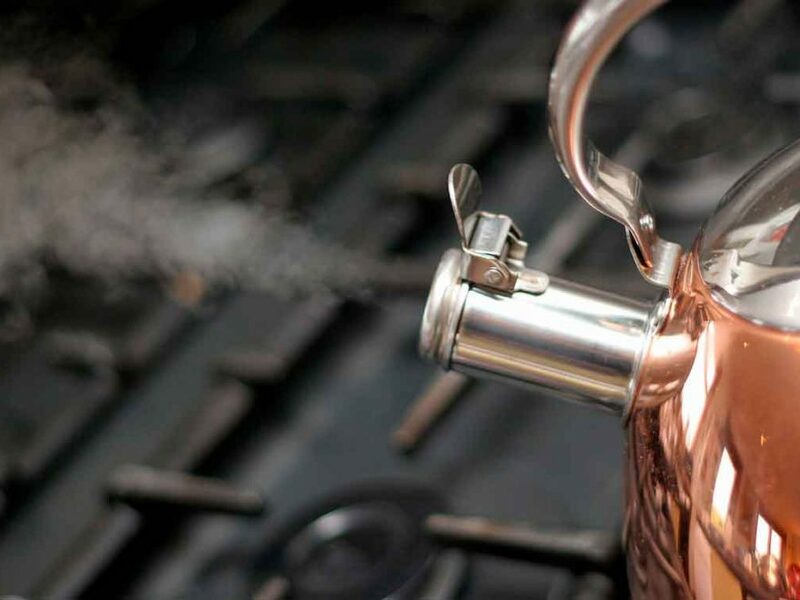 Fill up your stainless steel kettle with equal parts of vinegar and water. Place the kettle on your stove and turn up the heat. Allow the vinegar water mixture to come to a boiling point. Take the kettle off the stove and allow it to sit for a few minutes. Once the water has cooled down slightly, you may throw away the water. Use a soft cloth to wipe away the stains on the interior of the kettle. If you cannot put your hand inside the opening of the stainless steel kettle, you can pour in some dry rice into it, shut the mouth, and swirl around the dry rice inside. Take a bowl and add vinegar and water in equal parts. Dip a soft cloth into this mixture and use it to clean the outside of the stainless steel kettle and remove any stains. Rinse out the kettle and dry it thoroughly. Fill up your stainless steel kettle with water and add one small cup of lemon juice to this. You can even add cut up lemon slices into the kettle. Bring the water to a boil. Once it is boiling, take it off the heat. Allow this to sit undisturbed for one hour. Throw away the lemon water solution. Add dry rice inside the kettle and swirl it around. It will remove any residue of stains and deposits from your stainless steel kettle effectively. Rinse the kettle well and dry thoroughly. The first thing you will need to do is give a thorough cleaning to your stainless steel kettle using soap and water. Add any dishwashing soap on a wet sponge or a brush and use it to scrub the insides as well as the outsides of the stainless steel kettle. You can use the lemon water or even the baking soda paste solution for the initial cleaning of the kettle. Now, take a soft cloth and add some ammonia (you may also use rubbing alcohol if you prefer) to the fabric. Target the stained or the greasy areas on your kettle and use the soft cloth to rub away at those areas. With this, you should be able to remove any grease that may have built upon the stainless steel kettle. Rinse your kettle under warm water, and use a soft cloth to dry it thoroughly. Your stainless steel kettle will be rid of all kinds of stains, limescale or mineral deposits, build up, and grease!